Do you have little ones that will be trick or treating? Do you have any idea why?! It can be a fun night for children and grown up a like, an excuse to dress up and have a party. We seem to accept that it has something to do with Halloween being popular in America and we are happy to jump on the commercial bandwagon but no further questions are asked! Halloween is a ‘spooky’ holiday and is tied to the notion that we may make contact with the negative spiritual forces of the dead and are prepared to be frightened witless! This opens the way for participants to dress up as ghouls, witches and all fantastical beings zombies, vampires, werewolf’s and increasingly characters from horror films. We accept that children dress up and demand ‘trick or treat’ a custom that allows them to ask for sweets or money otherwise something bad may happen because they do it in America!! But Halloween is relatively new even to our American cousins. It was the Celts that first observed a festival a kin to our modern day Halloween when they celebrated Samhain at the end of October in the 5th century B.C!! They believed it was at this time more ghosts and demons roamed the earth more than at other times! During the Ist Century as the Romans conquered the Celts they adopted the spiritualistic rituals of Samhain. And in the 7th Century pope Boniface established the annual celebration of All Saints day to honour martyrs -again at the end of October. It was during the 19th century and the mass migration of Irish Catholics moving to the U.S. that began the link to America as they brought their Halloween customs and combined them with traditions from Germany and Africa. By the 20th Century Halloween has become a nationwide holiday and now- a- days Halloween is an international multibillion dollar industry! Knowing the history of these celebrations can, if you want, make this time of year a little more reflective as well as igniting youngsters ‘imagination. 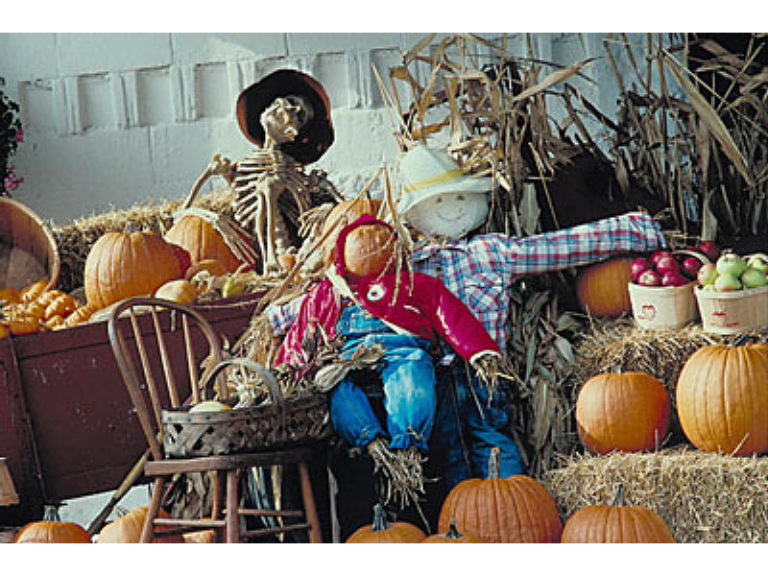 To see the businesses in our Halloween section, please click here.